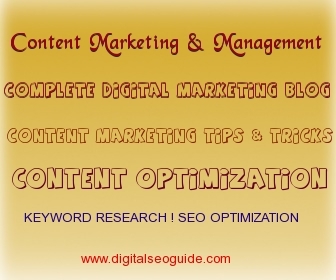 Today, we are going to share some useful tips to write the SEO optimized content. The web is populated with so many websites that sell the same thing by telling the same thing. But despite the fact, why some websites score well in terms of generating traffic? The answer is very simple. The websites that get good traffic are those that do well in terms of writing content. Content is literally the king and search engines love to rank those websites at the top of their results pages that are populated with informed content, rather than simplified content. A good content necessarily means an improved type of result-oriented content that your target audience can read, learn, and use to simplify their query or to solve an issue. 1 How To Write Good SEO Content That Ranks? How To Write Good SEO Content That Ranks? Writing for anyone is not the key to SEO content writing. You need to write only for your audience. Before writing, you need to manually understand your audience. What they want to learn from you and how they want to read. Once you are categorized about your audience, optimizing your website and getting traffic becomes a simple task. The keywords are the lifeline of your content. Before writing an article, research the keywords that you want to use in the content. The keywords that you use should be optimistic to your website. Use keywords based on the trend and your audience. Use summary, write unique content, use keywords evenly on your content. And after your content is done, make sure to update your social media accounts. write viral content using the proper variety of selective keywords evenly distributed. That is the key to getting your website to the top and get traffic result from your web.